Road blocker is the most commonly-used system in the areas such as military facilities, government buildings, embassies, production facilities, oil refineries, hotels, airports and stadiums where the entries-exits must be made in a controlled and safe manner against any vehicle attacks.The system’s case is designed as resistant to hits by vehicles , and all relevant components of the systems are strengthened against any attacks. Our Blocker Systems work uninterruptedly even at the highest-density places thanks to the hydraulic operation system. 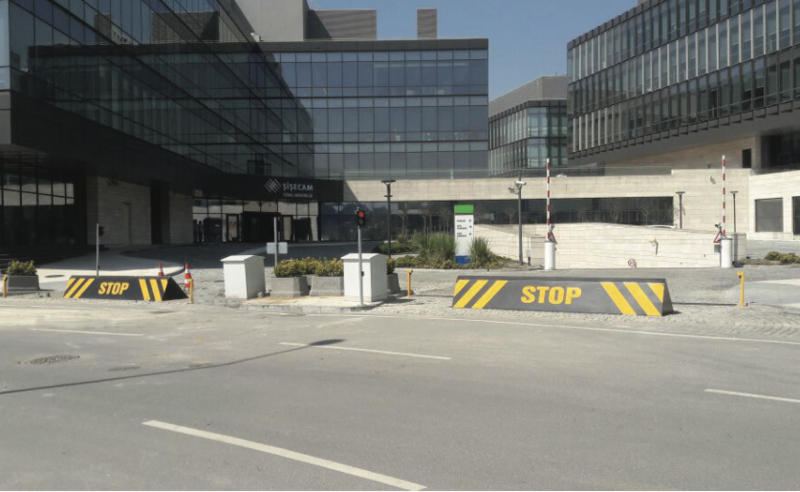 This system is synchronized with the rising bollard and other safety systems, and keeps the defense at the maximum level in case of possible attacks, and thus ensures the secure entrance of the vehicles into relevant areas. Rising / Falling Time 6-8 sec.